We are of the view that the AO had issued a detailed questionnaire raising various queries. The appellant had appeared from time to time and filed the detailed replies to all the queries raised. Books of account were produced along with the supporting vouchers which were examined by the AO. The confirmed copies of account with PAN numbers of the parties to whom sales and purchases were made, were filed before the AO. The details of commission expense along with PAN numbers and TDS deducted were duly filed before the AO. The AO had raised a specific query about fresh loans raised during the year and reply was filed that no fresh loans were raised. The sales made to four/five parties as referred in the order u/s 263 of the Act has been made with profit margin of 19% which is more than the industry norm. A note was given along with the balance sheet that’s AS 11 is not applicable to the assessee. The foreign exchange fluctuation is duly recorded in the books of account. It is not the case of the ld. PCIT that Books of account have not been examined by the AO. The interest relating to the capital WIP is already capitalized by the Assessee. The assessee had made purchases/imports from two parties on CIF basis. The ld. PCIT has observed that goods have been imported from Amira C Foods International DMCC but the port of loading is Mundra port, India, whereas he has failed to consider the reply of the appellant dated 17.02.2017 that the delivery of wheat was from India at Krishna port and Mundra port since the wheat was purchased by Amira C Foods International DMCC from M/s PEC Ltd., a government of India Enterprise and M/s STC Ltd. in open tender system and wheat was dispatched directly from India from Krishna port and Mundra port to Bangladesh. It is not the case of the LD. PCIT that purchase vouchers and books of account were not produced before the AO during the course of assessment proceedings. Hence it cannot be said that this is a case of no inquiry made by the AO. Merely because the ld. PCIT feels that further inquiry should have been made does not make the order of the AO erroneous. The ld PCIT has not referred to Explanation 2 of section 263 of the Act which has been inserted with effect from 01 .06.2015 however we agree with the finding of the coordinate bench in the case of Narayan Tatu Rane (supra), wherein it has been held that Explanation cannot said to have overridden the law as interpreted by the various High Courts, where the High Courts have held that before reaching a conclusion that the order of the AO is erroneous and prejudicial to the interest of revenue, the Commissioner himself has to undertake some enquiry to establish that the assessment order is erroneous and prejudicial to the interest of revenue. In the case of Narayan Rane a doubt is also expressed regarding the applicability of Explanation 2, which was inserted by Finance Act 2015 w.e.f. 01.06.2015, the bench also observed that if the Explanation is interpreted to have overridden the law as laid down by various High Courts, then the same would empower the Pr. CIT to find fault with each and every assessment order and also to force the AO to conduct enquiries in the manner preferred by the Pr. CIT, thus prejudicing the mind of the AO, however, the intention of the legislature behind the explanation could not have been so as the same would lead to unending litigation and no finality in the legal proceedings. Since the appeal has been decided herein above, the stay application filed by the assessee has become infructuous and accordingly dismissed as having become infructuous. 2. The assessee is in the business of trading of rice. During the year under consideration, i.e. A.Y. 2014-15, the assessee filed return of income on 30.03.2015 declaring income of Rs. 70,88,78,060/-. The case was selected for scrutiny under CASS and a notice u/s 143(2) of the Act dated 28.08.2015 was issued. Thereafter notice u/s 142(1) along with questionnaire was issued on 05.04.2016. The appellant appeared on various dates and filed the required details from time to time. Assessment order dated 29.06.2016 was passed u/s 143(3) accepting the returned income of Rs. 70,88,78,060/-. The books of account and vouchers were produced and examined by the Assessing Officer. i. Transaction for determining the arms length price not analyzed by the AO and the transaction with Associated Enterprise not referred to TPO. vii. Details/ nature of capital work in progress not examined and related interest not disallowed. 4. In response to the show cause notice, the assessee submitted that the assessment order is not erroneous and prejudicial to the interest of revenue and also the assessment has been made after making inquiries or verification on all the facts as have been alleged in the show cause notice. The assessee filed detailed response to the show cause notice issued u/s 263 of the Act. As regards the mandatory reference to TPO for determining arms length prices, referring to CBDT Instruction no. 3 of 2016, the assessee submitted that its case did not fall under the two conditions stipulated in the said instruction, therefore the AO was not bound refer the same to the TPO. As regards the fall in gross profit and net profit, the assessee contended that explanation for the same was furnished during the assessment proceedings. 5. As regards purchases made by the company from certain parties and sales made by the assessee company to these parties, the assessee submitted that both these companies are independent and all the purchases made have been duly accounted for in their day to day stock and sales are made to independent buyers. As regards sundry debtors and creditors, complete details with name, addresses and amount for the parties along with confirmed copies of account of some of the parties was duly furnished and examined by the AO during the assessment proceedings. Further copies of account in the books of the company giving complete detail of outstanding amount were submitted by the assessee before the ld. PCIT. Further, regarding the amount payable against LC in favour of various banks and inventory of Rs. 1,28,785/- lakhs, the assessee rendered explanation along with supporting documents. 6. Regarding the effect of pending forward contracts, the assessee contended that it is not covered by the provisions of AS-1 1 and thus it is exempt from disclosure requirements on unsettled forward transactions during the F.Y. 2013-14. The assessee submitted various details and explanation with respect to the trading items, FOB value of exports, claim and compensation, opening and closing capital work in progress and interest and expenses. The assessee contended that all the aforesaid issued were duly examined/investigated/verified by the AO during the course of assessment proceedings. 7. The ld. PCIT held that the assessment order has been passed without making proper inquiries/ verification/ investigations which should have been made before accepting the trading results and other issues and the same is therefore erroneous and prejudicial to the interest of revenue. Accordingly, the ld. CIT(A) vide its order u/s 263 of the Act dated 17.02.2017 set aside the assessment order and directed the AO to redo the assessment de novo after making necessary inquiries/ verification/ investigations. 1. “That the notice issued u/s 263 and the order passed by the Principal Commissioner of Income Tax (“Pr. CIT”) u/s 263 are illegal, bad in law and without jurisdiction. The order passed by the Assessing Officer (“AO”) u/s 143(3) is neither erroneous nor prejudicial to the interest of Revenue. 2. The order u/s 263 passed by the Pr. CIT is illegal, bad in law and without jurisdiction as detailed replies filed before the Pr. CIT, in response to the notice u/s 263, have not been considered while passing the final order. Hence the order u/s 263 is liable to be quashed. 4. That the Pr. CIT has erred on facts and in law in exercising its jurisdiction u/s 263 to hold that the AO should have mandatorily referred the matter to the TPO. Pr. CIT has failed to appreciate that the words “he may” as used in Section 92CA are preceded by “necessary and expedient”. Hence, by not making reference to the TPO, no error has been committed by the AO. 5. That the exercise of jurisdiction by Pr. CIT u/s 263 is bad in law and without any basis as the same has been done on mere assumption and therefore, as such the assessment order is not erroneous and there is no prejudice to the interest of Revenue. 6. That the Pr. CIT has erred on facts and in law in not appreciating that the reply in specific reference to fall in Gross Profit and Net Profit as compared to earlier year was inquired during the assessment proceedings and also confirmed by the Pr. CIT while issuing notice u/s 263 of the Act. 7. That the Pr. CIT has erred on facts and in law in assuming jurisdiction u/s 263 when the assessment order u/s 143(3), accepting the trading results, was passed only after making detailed inquiries into purchases/ sales made by the assessee. The assessment order u/s 143(3) cannot be set aside merely because the CIT feels that further inquiry should have been made. 8. That the Pr. CIT has erred on facts and in law in holding that the sale and purchase to common parties by the assessee and Amira Enterprises Ltd. are apparently accommodation entries/ shifting of The observation and finding are based on assumption and presumption and are far from reality. The CIT cannot set aside the assessment order passed u/s 143(3) merely on the basis of the assumptions and presumptions and without holding any independent inquiry. 9. That the Pr. CIT has erred on facts and in law in assuming jurisdiction u/s 263 regarding the issue of pending forward contracts, even when the assessee is exempt from disclosure requirements on unsettled forward transactions during F. Y. 2013-14 in view of the provisions of AS-11. Thus the assessment order u/s 143(3) is neither erroneous nor prejudicial to the interest of Revenue. 10. That the Pr. CIT has erred on facts and in law in holding that the AO has not examined the rates of purchase of goods from Amira C Foods International DMCC and the port of loading is in India. The Pr. CIT has failed to appreciate that in respect of goods purchased from Amira C Foods International DMCC, delivery was from India as Amira C Foods International DMCC had purchased goods from M/S PEC LTD. and STC LTD. in open tender system and wheat was dispatched directly from Krishna Patnam Port and Mundra Port to Bangladesh. The assessment has been completed after examining the various details. Hence the assessment order is legal and not erroneous or prejudicial to the interest of Revenue. 11. That the Pr. CIT has erred on facts and in law in holding that the AO has not examined the details of commission expenses whereas details regarding the same were called for by the AO and were duly filed. The AO is not supposed to write each and every expense, which is allowed in the assessment order. 12. That the Pr. CIT has erred on facts and in law in not appreciating that interest arising out of capital work in progress has been already capitalized and as such no further inquiry is required in this regard. Thus, the Pr. CIT cannot set aside the assessment order u/s 143(3) and direct the AO to make a fresh inquiry merely because he feels that the issue needs ‘thorough examination’. 13. That in view of the facts and circumstances of the case, the Pr. CIT has erred on facts and in law in assuming jurisdiction u/s 263 when the assessment order u/s 143(3) was passed after making detailed inquiries regarding the unsecured loans. The assessment order u/s 143(3) cannot be set aside merely because the CIT feels that further inquiry should have been made. 14. The Pr. CIT has failed in not appreciating that the increase in interest amount as compared to last year is on account of interest paid to creditors and not on account of increase in unsecured loans. Pertinently, TDS amount stands deducted and complete information were submitted during the course of assessment proceedings. 15. That in view of the facts and circumstances of the case, the Pr. CIT has erred on facts and in law in assuming jurisdiction u/s 263 when the assessment order was passed after making detailed inquiries and hence the notice issued u/s 263 and the order passed under said section are illegal, bad in law and without jurisdiction. 16. That the Pr. CIT has failed to appreciate that details of expenses were filed as required by the AO and the assessment order has been passed after due application of mind. 17. That without prejudice, the Pr. CIT has wrongly and illegally held that the order passed by AO is erroneous and prejudicial to the interest when no independent inquiry has been made by Pr. CIT. Hence the notice issued U/s 263 and the order passed u/s 263 is illegal and bad in law. 18. That without prejudice, the Pr. CIT has exceeded his jurisdiction in setting aside the assessment order and directing the AO to make de novo assessment when his notice and the order passed is limited to certain issues only. Hence the order passed u/s 263 is illegal and bad in law. 19. That the Pr. CIT has passed the order u/s 263 ignoring the evidence, documents filed by the assessee and material available on record. 20. That the explanations given, evidence produced, material place and available on record has not been properly considered and judicially interpreted and the same do not justify the order passed u/s 263. 21. That the assessee craves leave to alter, amend or withdraw all or any objections herein or add any further grounds as may be considered necessary either before or during the hearing. 9. The counsel for the appellant submitted that the order passed by the ld. PCIT is not valid and not maintainable in law as the same has been passed without considering the submissions of the assessee filed in response to the show cause notice u/s 263 of the Act. It is submitted that the order passed is in violation of principle of natural justice because the objections to proceedings u/s 263 of the Act and the submissions made in response to notice u/s 263 of the Act have not been considered at all by the ld. PCIT. It is submitted that the purpose of a show cause notice is to enable the person, against whom action is sought to be taken, to defend his case and the same rests on the principles of natural justice. Serving a show cause notice is not an empty formality and therefore, the principles of natural justice are not met by merely issuing a show cause notice. The ld. PCIT has to apply his mind to the submissions made by the assessee in response thereof and has to dispose off the objections raised by the assessee before arriving at a finding that the order is erroneous and prejudicial to the interest of the justice. Therefore, the ld. PCIT has himself erred by not adhering to the principles of natural justice and it is trite law that any order passed in violation of principles of natural justice is invalid and liable to be quashed. 10.. The appellant had filed replies before ld. PCIT dated 03.02.2017 and dated 17.02.2017 along with supporting documents, which are placed at Page 159 to Page 414 of the paper book, in response to the show cause notice dated 21.10.2016 issued by ld. PCIT u/s 263 of the Act. However, a perusal of the impugned order u/s 263 of the Act shows that the ld. PCIT has nowhere considered the contentions of the assessee made in response to the show cause notice u/s 263 of the Act. This itself makes the order passed u/s 263 of the Act as illegal and bad in law. Opportunity of being heard is little more than serving a notice on assessee. It is not an empty formality. The ld. PCIT has nowhere in its order u/s 263 of the Act recorded the explanations given by the assessee in response to the 263 of the Act show cause notice. The d. PCIT has not even looked at the replies filed by the Appellant in response to notice u/s 263 of the Act and has passed the order u/s 263 of the Act. Therefore, the order of the ld. PCIT is patently illegal, bad in law and the same is liable to be quashed. 11. It is further argued that the order is passed after making inquiries or verification which should have been made. The AO, exercising its quasi-judicial power, had issued a detailed questionnaire u/s 142(1) which was duly answered by way various details, explanations and letters. Complete books of account, details of sales/purchases, supported with documentary evidences were produced and examined by the AO during the assessment proceedings. The appellant had appeared before the AO and filed replies, however, the ld. PCIT has completely ignored the detailed inquiry conducted by the AO and has, therefore, erred in exercising jurisdiction u/s 263 of the Act in respect of the issues which were already examined by the AO. 12. Relying on the decision of Apex Court in the case of Malabar Industrial Co. Ltd. V. CIT [(2000) 243 ITR 83], it is submitted that the power of CIT u/s 263 of the Act can only be exercised by the ld. PCIT when the twin conditions of the order being erroneous as well as prejudicial to the interest of revenue, are satisfied and the same cannot be exercised to substitute its own finding in place of the AO and therefore, the ld. PCIT cannot re-examine the issues already inquired into by the AO. Reliance is also placed on the Bombay High Court’s decision in the case of CIT v. Gabriel India Ltd. [(1993) 203 ITR 108]. The power u/s 263 of the Act is to be exercised in the case of “no inquiry” and not in the case of “inadequate inquiry” or “lack of inquiry” whereas the case of the assessee is not even a case of lack of inquiry. 13. It is submitted that under the jurisdiction u/s 263 of the Act, the ld. PCIT has initiated revision proceedings in order to carry out fishing and roving inquiries in the matters which are already concluded by the AO and therefore the exercise of jurisdiction u/s 263 of the Act is bad in law. The LD. PCIT has erred in exercising jurisdiction u/s 263 of the Act when the issues raised therein were already inquired into by the AO during the assessment proceedings. The AO had passed the assessment order only after conducting detailed inquiry on various issues including trading results, nature and allow ability of expense, etc. 14. The assessment order is passed after due application of mind, therefore, the impugned notice and order u/s 263 of the Act alleging that proper and adequate inquiry was not made, rendering the Assessment Order erroneous and prejudicial to the interest of revenue, is arbitrary based on conjecture and surmises. 15. The ld. PCIT has not given any finding as to how and in what manner the order of the AO on the various issues noted in its order u/s 263 of the Act was erroneous and prejudicial to the interest of the Revenue. The ld. PCIT has not made any inquiry on his own but simply directed the AO to make further verification and examination therefore, the order of the ld. CIT u/s 263 of the Act deserves to be set aside. Recently, the Delhi High Court in the case of LD. PCIT v. Delhi Airport Metro Express Pvt. Ltd. [ITA No. 705/2017] has categorically held that for the purpose of exercising jurisdiction u/s 263 of the Act and reaching a conclusion that the order is erroneous and prejudicial to the interest of revenue, the ld. PCIT has to undertake some minimal inquiry and in fact where the ld. PCIT is of the view that AO had not undertaken any inquiry, it becomes incumbent on the ld. PCIT to conduct such inquiry. Further in LD. PCIT v. Modicare Limited [ITA No. 759/2017] Delhi High Court has followed its decision in Income Tax Officer v. DG Housing Projects Limited [343 ITR 329], DIT v. Jyoti Foundation [357 ITR 388] and LD. PCIT v. Delhi Airport Metro Express Pvt. Ltd. (supra) to hold that the exercise of jurisdiction u/s 263 of the Act cannot be outsourced by the CIT to the AO and therefore, the CIT cannot direct the AO to provide details of the facts on the basis of which the proceedings u/s 263 of the Act could have been initiated. 16.In the instant case, the ld. PCIT, unmindful of the inquiries conducted by the AO during the assessment proceedings and submissions made by the assessee in response to notice u/s 263 of the Act, has merely observed that the assessment order was passed without making proper inquiries and it is a matter of record that LD. PCIT has himself not undertaken any inquiry to reach a conclusion that the order is erroneous and prejudicial to the interest of revenue. Therefore, in the absence of any justification for exercise of jurisdiction u/s 263 of the Act, the order of ld. PCIT passed u/s 263 of the Act is liable to be set aside. 17.There is difference between ‘Lack of inquiry’ and ‘inadequate inquiry’. It is for the AO to decide the extent of inquiry to be made as it is his satisfaction as what is required under law. Reliance is placed on the decision of CIT v. Sunbeam Auto Ltd. [(2010) 332 ITR 167], wherein Hon’ble Delhi High Court has held that if there was any inquiry, even inadequate, that would not by itself, give occasion to the Commissioner to pass order u/s 263 of the Act, merely because the Commissioner has a different opinion in the matter and that only in cases where there is no inquiry, the power u/s 263 of the Act can be exercised. The ld. PCIT cannot pass the order u/s 263 of the Act on the ground that further/ thorough inquiry should have been made by AO. 18. The ld. counsel for the assessee submitted that even though there has been an amendment in the provisions of section 263 of the Act by which Explanation 2 is inserted, w.e.f. 01.06.2015 but the same does not give unfettered powers to the Commissioner to assume jurisdiction u/s 263 of the Act to revise every order of the AO to re-examine the issues already examined during the course of assessment proceedings. 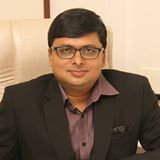 The Hon’ble Mumbai ITAT has dealt with Explanation 2 as inserted by the Finance Act, 2015 in the case of Narayan Tatu Rane v. Income Tax Officer [(2016) 70 taxmann.com 227] to hold that the said Explanation cannot be said to have overridden the law as interpreted by the Hon’ble Delhi High Court, according to which the Commissioner has to conduct an inquiry and verification to establish and show that the assessment order is unsustainable in law. The Tribunal has further held that the intention of the legislature could not have been to enable the ld. PCIT to find fault with each and every assessment order, without conducting any inquiry or verification in order to establish that the assessment order is not sustainable in law, since such an interpretation will lead to unending litigation and there would not be any point of finality in the legal proceedings. The opinion of the Commissioner referred to in section 263 of the Act has to be understood as legal and judicious opinion and not arbitrary opinion. iii. Where search and seizure or survey operations have been carried out under the provisions of Income Tax Act and findings regarding transfer pricing issues in respect of international transactions or specified domestic transactions or both have been recorded by the Investigation Wing or the AO. 20. During the course of hearing, the counsel of the assessee submitted a copy of the reasons for scrutiny selection under CASS and contended that neither the case of the assessee has been selected on the basis of transfer pricing risk parameters nor the reasons for selection fall under the aforementioned second condition stipulated under the said instruction and therefore, it was not mandatory for the AO to refer the transactions to the TPO. 21. As regards the issue of inquiry into trading results, the counsel for the assessee submitted that specific queries with respect to trading results were asked by the AO in the questionnaire u/s 142(1) of the Act during the assessment proceedings. It was contended that all the purchase/ sales ills, vouchers with stock records, complete list of names, addresses, amount outstanding of 5404 sundry creditors were furnished to the AO for examination during the course of assessment proceedings. Further, it is contended that complete details regarding the amount payable against LC of various banks produced and confirmed copies of account of sundry debtors were filed before AO and this is also filed before ld. PCIT in response to the notice u/s 263 of the Act, however, as submitted earlier, the ld. PCIT has blatantly ignored the replies of the assessee. The counsel for the assessee argued that the appellant company and M/s Amira Enterprises are independent companies and that there is no common transaction between the two. All the purchases and sales are duly recorded in the books of account and sales have been made to independent parties. The appellant also filed confirmed copies of account of M/s Maa Janki Traders, M/s Jay Shree Enterprises, M/s Gandhi Enterprises and M/s Garg Enterprises to whom sales were made as filed before the AO. The counsel for the Assessee also contented that assessee has earned GP rate of 19% on these sales which is much more than the industry norms. 22. As regards the effect of pending forward contracts, referring to AS-1 1, the appellant submitted that the effect of the same is not taken into account as the case of the appellant is not covered by the provisions of AS-1 1 and thus the appellant is exempt from disclosure requirements on unsettled forward transactions during the relevant previous year. 23. The counsel for the Assessee further contended that ld. PCIT has wrongly held that CIF import is from Amira C foods international DMCC but the port of loading is Mundra port (India) and rate of purchase could not be verified for both parties as AO did not make a reference to TPO and foreign exchange fluctuation has not been examined. Regarding the issue of purchases made by the assessee from Amira C Foods International DMCC and port of loading of the same being in India (Mundra Port), the counsel for the assessee submitted that Amira C Foods International DMCC had purchased the goods from M/s PEC Ltd. and STC Ltd., which are government entities, in an open tender system and wheat was dispatched directly from Krishna Patnam Port and Mundra Port to Bangladesh. It was submitted that the appellant had rendered explanation with complete details to the ld. PCIT but the same has been ignored by him, he referred to pg 350 of the paper book in this regard. He further submitted that reference to TPO was not mandatory in view of the instructions No 3 of 2016. He also contended that all the purchase vouchers were produced before AO along with books of account during the course of assessment and were checked on test check basis by the AO. Moreover, the effect of foreign exchange fluctuation is duly recorded in the books of account which has been examined by AO. 24. Regarding the issue of addition to unsecure loans, the counsel for the appellant submitted that the appellant company has not obtained any fresh loan during the year under consideration and this fact is clear from the reply dated 10.5.16 to the AO during the course of assessment. Further, as regards the issues of commission expenses, it is contented by the counsel of the assessee that details with PAN and TDS was duly filed during the course of assessment. In respect of interest on capital work in progress, the appellant submitted that the interest has already been disallowed itself by the Assessee. The said issues were duly examined by the AO during the course of assessment proceedings and therefore LD. PCIT, unmindful of the assessment record and replies filed before him in response to notice u/s 263 of the Act, has erred in exercising jurisdiction u/s 263 of the Act. It is submitted that during the course of assessment proceedings, specific query w.r. t. trading results was made vide questionnaire dated 05.04.2016 issued u/s 142(1) [relevant questions being 15, 24, 26, 28, 29] and the assessee had furnished categorical reply to the same along with all the required details as purchase/sales bills, vouchers, complete list of sundry creditors, etc. Confirmed copies of accounts with PAN numbers from whom sales and purchases were made, were filed before the AO. The said details are part of the assessment record and it was only after examining the said details, the AO had passed the assessment order. The AO vide questionnaire dated 05.04.2016 raised a specific query [relevant question being 26] seeking details of purchases and sales made from/to the sister concerns/ specified persons u/s 40A(2)(b), their reasonableness/ justification in accordance with qualification and prevalent market rates along with evidence. Thereafter, the assessee had in its reply furnished details as sought by the AO in this regard. Books of account and vouchers were produced and examined by the AO. The AO vide questionnaire u/s 142(1) had sought the justification of all the expenses which were debited in the Profit & Loss Account [relevant question being 19] and in response to this, the assessee had furnished party wise details of various expenses along with the other details of TDS deducted, etc. It is submitted that the AO vide questionnaire u/s 142(1) had examined the said issue by a specific and detailed query [relevant question being 4] and the assessee had furnished its reply thereto. Therefore, it is submitted that necessary examination was already done by AO. The related interest is already capitalized. 26. On the other hand, the ld. DR strongly relied upon the order of LD. PCIT and submitted that the ld. PCIT has rightly exercised the jurisdiction u/s 263 of the Act setting aside the assessment order. The ld. DR submitted that even though the ld. PCIT in its order u/s 263 of the Act has not expressly noted the submissions of the assessee made in response to the show cause notice u/s 263 of the Act, yet it cannot be said that the submissions of the assessee were not considered by the ld. PCIT. The ld. DR contended that the order u/s 263 of the Act has been passed after duly considering the submissions made by the ld. PCIT in this behalf. The ld. DR submitted that as per the reasons, the case of appellant has been selected for scrutiny on account of mismatch between income declared by remittance in ITR and amount of remittance received(Form 15CA) and therefore, the case of the appellant has been selected for scrutiny on account of international transactions. It was argued that Form 15CA is for information to be furnished for payments to a non residents not being a company, or to a foreign company and since the case of the appellant was selected for scrutiny on account of international transaction, it was mandatory for the AO to refer the same to the TPO. 27. The ld. DR also placed reliance on the Explanation 2 to section 263 of the Act. She argued that the ld. PCIT has passed the order u/s 263 of the Act by invoking Explanation 2 to section 263 of the Act, even though the same is not expressly written in the order. During rebuttal the counsel for the appellant argued that admittedly the ld. PCIT, while passing the impugned order u/s 263 of the Act, has not invoked Explanation 2 to section 263 of the Act and, therefore, the Ld. DR cannot take support of the same to justify the exercise of jurisdiction by the ld. PCIT u/s 263 of the Act. It is submitted that in an appeal against the order u/s 263 of the Act, the ITAT cannot uphold the impugned order u/s 263 of the Act on the grounds other than those taken by the Commissioner in his order and therefore, the argument of the Ld. DR that Explanation 2 has been invoked by the ld. PCIT is not tenable as the same is nowhere noted to have been invoked by the ld. PCIT in its order. Reliance is placed on the decision of the jurisdictional Punjab & Haryana High Court in the case of CIT v. Jagadhari Electric Supply & Industrial Co. [ 140 ITR 490] wherein the High Court dealt with a similar situation. He also submitted that the case of the appellant has not been selected on TP risk parameters or on the basis of the second condition of Instruction no. 3 of 2016 and the contention of the Ld. DR that the case of the appellant was selected for scrutiny on the basis of international transactions is misplaced. The counsel for the appellant submitted that the case of the was selected for scrutiny on account of mismatch in remittance in ITR and the amount received and this reason has nothing to do with the two reasons for selection laid down in the Instruction No. 3 of 2016 and therefore, it was not mandatory for the AO to refer the matter to the TPO. It is contended that Form No 15CA is for reporting the foreign remittance and it may be to AE or to anyone else, hence it cannot be linked with Transfer pricing risk para meters. 28. We have considered arguments from both sides and perused the documents available on record. We are of the view that the AO had issued a detailed questionnaire raising various queries. The appellant had appeared from time to time and filed the detailed replies to all the queries raised. Books of account were produced along with the supporting vouchers which were examined by the AO. The confirmed copies of account with PAN numbers of the parties to whom sales and purchases were made, were filed before the AO. The details of commission expense along with PAN numbers and TDS deducted were duly filed before the AO. The AO had raised a specific query about fresh loans raised during the year and reply was filed that no fresh loans were raised. The sales made to four/five parties as referred in the order u/s 263 of the Act has been made with profit margin of 19% which is more than the industry norm. A note was given along with the balance sheet that’s AS 11 is not applicable to the assessee. The foreign exchange fluctuation is duly recorded in the books of account. It is not the case of the ld. PCIT that Books of account have not been examined by the AO. The interest relating to the capital WIP is already capitalized by the Assessee. The assessee had made purchases/imports from two parties on CIF basis. The ld. PCIT has observed that goods have been imported from Amira C Foods International DMCC but the port of loading is Mundra port, India, whereas he has failed to consider the reply of the appellant dated 17.02.2017 that the delivery of wheat was from India at Krishna port and Mundra port since the wheat was purchased by Amira C Foods International DMCC from M/s PEC Ltd., a government of India Enterprise and M/s STC Ltd. in open tender system and wheat was dispatched directly from India from Krishna port and Mundra port to Bangladesh. It is not the case of the LD. PCIT that purchase vouchers and books of account were not produced before the AO during the course of assessment proceedings. Hence it cannot be said that this is a case of no inquiry made by the AO. Merely because the ld. PCIT feels that further inquiry should have been made does not make the order of the AO erroneous. 29. We are also of the view that as per instruction no. 3 of 2016, it was not mandatory for the AO to make a reference to TPO. The assessee had explained before the ld. PCIT that its case does not fall under the conditions referred to in the instruction no. 3 of 2016 and as such it wasn’t obligatory for the AO to make a reference to TPO. The ld. PCIT has not dealt with this contention of the assessee and has given a bald finding that AO should have referred to TPO as per instruction no. 3 of 2016. The ld. PCIT has not specified under which condition of instruction No. 3 of 2016, the AO should have referred to TPO. The argument of the ld. DR that selection under CASS was made because of mismatch in foreign remittent and Form 15CA, also doesn’t help the cause of the revenue. As per Rule 37BB, the reporting in Form 15CA is in respect of payment made to non-resident not being a company or to a foreign company. The reporting is not limited or is not particularly in respect of payment made to associated enterprise. We are of the view that the CASS selection was not on the basis of TP risk parameters as envisaged in instruction No. 3 of 2016 and as such the AO was not bound to make a reference to the TPO. 31. The ld PCIT has not referred to Explanation 2 of section 263 of the Act which has been inserted with effect from 01 .06.2015 however we agree with the finding of the coordinate bench in the case of Narayan Tatu Rane (supra), wherein it has been held that Explanation cannot said to have overridden the law as interpreted by the various High Courts, where the High Courts have held that before reaching a conclusion that the order of the AO is erroneous and prejudicial to the interest of revenue, the Commissioner himself has to undertake some enquiry to establish that the assessment order is erroneous and prejudicial to the interest of revenue. In the case of Narayan Rane a doubt is also expressed regarding the applicability of Explanation 2, which was inserted by Finance Act 2015 w.e.f. 01.06.2015, the bench also observed that if the Explanation is interpreted to have overridden the law as laid down by various High Courts, then the same would empower the Pr. CIT to find fault with each and every assessment order and also to force the AO to conduct enquiries in the manner preferred by the Pr. CIT, thus prejudicing the mind of the AO, however, the intention of the legislature behind the explanation could not have been so as the same would lead to unending litigation and no finality in the legal proceedings. 32. Since the appeal has been decided herein above, the stay application filed by the assessee has become infructuous and accordingly dismissed as having become infructuous. 33. In the result, the stay application filed by the assessee is dismissed and the appeal of the assessee in ITA No. 3205/DEL/2017 is allowed.